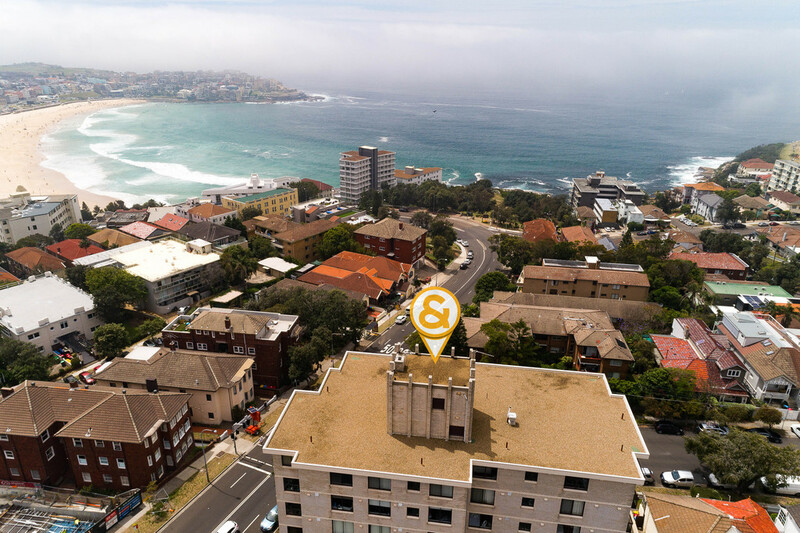 Description: Perched high in the sought after "Breakers" block, with spectacular 270 degree views over Bondi and beyond as far as Maroubra, this sun-filled 2-bedroom home is a wonderful coastal apartment. Generously proportioned and with an incredible elevated aspect which serves to take in a view of the Eastern Beaches' iconic coastline, the home is highlighted by a long east-facing balcony, the perfect spot for a morning coffee, taking in the vista. Located on the 6th floor of what stands as a significant Bondi block, the 2 bedrooms both feature b/ins and open to the balcony with those never-to-be-built-out views, while the living room with adjacent dining room makes for a brilliant casual zone, with full length glass doors to the balcony. The kitchen meanwhile is a modern space with views to the south, with adjoining internal laundry, while the bathroom features separate bath and shower. In excellent condition and ready to move in, there nevertheless presents a great opportunity for a personal remodelling to your own specifications to create a bespoke coastal retreat. Around 250m from the sands of Bondi and within easy reach of Tamarama, not to mention the cafes and eateries of Bondi Rd and the Hall St precinct, this residence is a stunning chance to buy in the Bondi market. Complete with private LUG, living in this lovely home places you in an iconic seaside position, minutes to the famed coastal walk. Contact Raine & Horne Double Bay Today!!! interested parties must make their own enquiries with Raine & Horne Double Bay!